President-elect Barack Obama announced two more Cabinet appointments today—perhaps the two most eagerly awaited appointments for animal advocates because of their relevance to the protection of domestic animals and wildlife. We congratulate former Iowa Gov. Tom Vilsack, the next Secretary of Agriculture, and U.S. Sen. Ken Salazar of Colorado, the next Secretary of the Interior, who were both named earlier today. 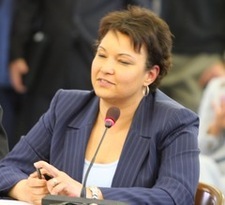 We also congratulate Lisa Jackson, whose appointment was formally announced earlier in the week to head the Environmental Protection Agency. These three members of Obama’s team together will impact the lives of hundreds of millions of animals. Vilsack has a solid record on animal protection, and he was the top choice of HSUS and HSLF to lead the USDA, the agency that oversees our federal laws on animal welfare, humane slaughter and transport, horse protection, animal fighting, and others. Nearly 90,000 animal advocates contacted the transition team through our website, expressing how important it was to pick an animal-friendly Agriculture Secretary and recommending Vilsack as an excellent choice. The Obama Administration listened to your views, and this appointment demonstrates what an important voice animal advocates can have as a political constituency. The majority of Iowans do not support changing the current law to legalize dove hunting. My office has received contact from thousands of concerned Iowans regarding this issue, and my conclusion is that this policy is not right for our state at this time. 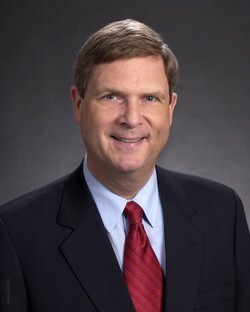 Vilsack recognized the importance of protecting animals from cruelty and abuse, and the importance of public involvement in the decision-making process. He'll need that same principled leadership in enforcing the Humane Methods of Slaughter Act, the Animal Welfare Act, the Horse Protection Act, and other federal laws. We look forward to working with him to elevate animal protection, food safety,and protection of the environment at USDA, which has consistently subverted these important considerations and sided time and again with the knee-jerk positions of agribusiness. He'll have a big role to play in how our nation confronts puppy mills, factory farming, predator control, the use of animals in research and testing, and other practices and industries that have compromised animal welfare. Salazar was a surprise choice for Interior, and wasn’t one of the names pushed by animal advocates. His record on animal issues in the U.S. Senate has been mixed, scoring 0 on the Humane Scorecard for the 109th Congress, and 50 percent in the 110th Congress. He voted against legislation to ban horse slaughter in 2005, but in the current session he co-sponsored legislation to strengthen the penalties for animal fighting and signed onto a letter requesting increased funds for the adequate enforcement of animal welfare laws. He has received relatively high marks on environmental issues from the League of Conservation Voters, scoring 78 percent in the 109th Congress and 85 percent in the 110th Congress. But, again, as with animal advocates, Salazar was not on the list of preferred candidates for the environmental community. The President-elect passed over more strongly recommended candidates such as Reps. Raúl Grijalva and Jay Inslee. 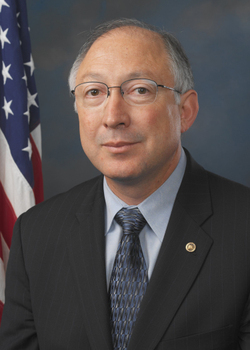 As Interior chief, Salazar will oversee the enforcement of wildlife protection laws such as the Endangered Species Act and the Migratory Bird Treaty Act, and will have authority for wildlife management practices on millions of acres of federal lands in national parks, national wildlife refuges, and Bureau of Land Management properties. We look forward to working with him, too, and addressing the major wildlife policy issues such as protecting threatened polar bears and other species from the impacts of global warming, deploying immunocontraceptive technology to manage wild horses and burros humanely on the range, and addressing the animal welfare and public safety risks of the exotic pet trade. Jackson led the New Jersey Department of Environmental Protection, and was a leading animal advocate in the state. She rejected attempts by the NRA, Safari Club, and other trophy hunting groups to initiate a hunting season on New Jersey’s small population of black bears, and she instead implemented a comprehensive program to solve bear conflicts with humane methods such as trash management and public education. We are pleased to have such an innovative leader at the helm of EPA, and we hope to work with her on continued efforts to prioritize the use of alternatives to animals in toxicity testing, to ensure strong penalties for pollution from factory farms and dismantle the Bush Administration’s corporate giveaway that exempts them from having to report their massive toxic emissions. President-elect Obama has pledged to make progress for animal welfare and environmental stewardship, and we hope these appointees will prove to be an excellent team to help him meet these crucial goals. We congratulate the nominees, and look forward to working with the new Administration to confront the major challenges facing animals and the environment.